What value can be put on an accurate scientific name? 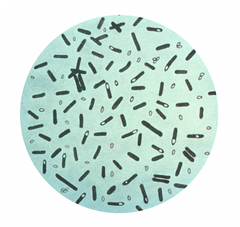 How about the “value” of the bacterial names Clostridium sporogenes vs. Clostridium botulinum? In the latter case, the estimates begin upwards of NZ$100 million. There is an important branch of science called Systematics that often slips below the radar until critical issues arise that rely on it, a recent case in point being Fonterra’s botulism false alarm. Systematics is the science of describing life, including the rigorous and accurate application of organism names. New Zealand’s systematists work in our CRIs, universities and museums with resources that include our national biological collections and databases. The just released “botulism” report by Dean et al. “The WPC80 incident: causes and responses” is exhaustive and insightful, and warrants close attention to its recommendations. Crucially, verified identification of the cause of contamination of the whey protein concentrate (WPC80) in advance of public notification by Fonterra would have produced a completely different scenario, with minimal monetary consequences. Instead, acting on an unconfirmed identification of Clostridium botulinum, that later was shown to be incorrect, resulted in huge financial losses to date, pending (>$100m) court proceedings, and damage to Fonterra’s and New Zealand’s reputation. What value a name? Appropriately, the report finds no fault with the identification procedures and response by systematists at the New Zealand institute involved. Organisms “do not carry passports”, to quote a fellow systematist, and many organisms are extremely difficult to identify even by skilled systematists; microscopic organisms such as bacteria are especially challenging. While systematics is the science that enables researchers to identify organisms, critical decision-making involving those organisms needs to be based on verifiable evidence. This implicitly requires independent verification of an identification when a major decision, such as arises in food safety and biosecurity, is to be based on that identification. That is because it is the (unambiguous) scientific name that is the entry point to all information known about an organism. Names are key! Systematics expertise has direct application to many industries, government agencies, and areas of science. Other examples where systematics has been fundamental to response include the determination of the causes of cabbage tree decline, of the Psa disease of kiwifruit and of kauri dieback disease. Responses to all three of these plant diseases, all caused by microscopic species, were based on verified identification of the causal agent by New Zealand’s systematists. New Zealand is so dependent economically on its primary industries, and so fortunate to be the home to life forms found nowhere else on the planet. Yet we are especially vulnerable to incursions by pathogens, weeds, and pests from overseas that can damage our economy and our biodiversity. New Zealand needs to maintain and support our systematics expertise, and to train students to ensure continuity of that expertise. The WPC80 report appropriately recommends “A global register of accredited laboratories and scientific experts able to undertake, or advise on, microbiological testing, especially for pathogenic and uncommon organisms”. It is important to ensure that New Zealand’s own systematics expertise is also maintained at international standard, enabling us to address issues rapidly and rigorously, and contributing to our global reputation as a scientifically advanced society and trading partner. Systematics is key to the discovery of our (still) vast unrecorded biodiversity, to safeguarding our biosecurity, and to providing the foundation of scientific evidence to inform critical decisions by New Zealand’s government and our industries.